For me, inspiration comes from all places. While I sometimes have a very clear idea of what I want to share, other times, it's blurry. Today, it was blurry, border-line non-existent - but I found inspiration as I was helping my youngest do a project for homework. She brought a project home a week ago, but with soccer practices and regular homework, we hadn't yet touched it. It's a scavenger hunt focused on finding math in our everyday lives. [A really good idea to help little learners that math IS all around us.] The directions stated we could do this as a family and as the complaining mounted about how much work this was going to be (from my daughter, not me 😁), I threw out the idea to use snack sized baggies to collect each item. That was met with a quick, "No!". I didn't give up and suggested she make a small book to display her findings. She stopped, quickly agreed, and asked, "On the computer?" - because she knows I like to "tech things up". Nope, instead I suggested we find some card stock and cut the pieces to make a small booklet. She lit up and happily started thinking how to make this happen. Working on her scavenger hunt booklet. Oh, how this little suggestion went a LONG way in changing the mindset of my youngest! She excitedly helped me pick out the colors for the inside pages, as well as papers for the covers. We looked through some of my scraps from years ago when I did scrapbooking and she chose ones that she liked. She helped me cut them to size. Then we talked through options on how to bind it together. We settled on hole-punching and using ribbon. When we had the book put together, she got to work crossing off the 12 items she needed to find. She wasn't in favor of putting them on pages in order - she clearly thinks a little more creatively than I ! - and then had to figure out how to label them so her teacher knew which item was which. She's pretty clever, and suggested writing a sentence about each item. She even wrote each sentence in a different color pen, to "jazz it up" (her words). She worked on it next to me, stopping every so often to talk through a thought or problem as she created her book. At this point, she isn't 100% finished, but she still has several days until it's due and she will have no problem completing it. The whole point in sharing this with you today, is to share how sometimes a twist - or a little freedom - can provide an avenue of success to a project or activity. My youngest loves school & does very well, but tends to get frustrated quickly. I know she's not the only student like this ... and when I did something as small as give her permission to do more than simply tick off each item of the scavenger hunt, her whole attitude changed and it became something fun to do. She needed that permission. She needed a little bit of encouragement. And part way through, she turned and said to me, "Mom, I really like when you say 'how about we make ...' when I have a project to do." THIS is why I had to share this story with you. Even a small change can make a huge difference. This project isn't a fight ... it's not an argument ... it's not a hurry up and complete to be done ... she's already thinking about how her teacher can hang it up in the hallway by the ribbon used to bind the pages together - "She really likes to hang up the things we do, Mom." She's proud of her work. She's excited to complete this. She's creating. And that is about the best reward I can hope for. I encourage you to take a minute and think about the next project or activity you do with your students (or send home) and give your students the permission to DO the activity with a little freedom. I'm happy I can provide that for my girls, but I know not every student will have that at home. If you can have that conversation with them before they go home, if you can give them the permission, the freedom, they can embark on the project/activity with the mindset of creation ... rather than just completion. P.S. Because I know there are teachers out there who may be a little nervous, I do not push the boundaries of the assignment into being something it's not. I make sure we follow the directions. And if my girls want to do something a bit further outside the written directions, I make them ask first. And because they are invested in the project, I do little more than support them, IF they ask questions. Happy Spring! I'm on Spring Break so I wanted to take a little time each day to share a Chrome extension that I absolutely adore and find useful on my TYCD: Resources blog. Each extension is directly linked below ... the TYCD: Resources blog is linked above. In other words, you can add extensions to your account and they allow you to do some pretty cool things when you are on the web. Some allow quick saving, some allow accessibility tools (like reading text), some even check for sales/coupons! There are even extensions that help you manage all of your extensions. It's really limitless. Extensions are one of the main reasons I keep my personal and my work Chrome accounts separate. There are ones that are generic and can be used in both places, but some are just for school and some are just for home. If you've not separated your personal and school Chrome accounts, I highly suggest you do. This week, I will share an extension I use, why I use it, and how I use it. I hope you are encouraged to try many of them out. As always, if you have a question or comment? Feel free to comment below, reach out to me on Twitter @kiefersj, or email me at sarah@techyoucando.com. These last few weeks have flown by! We are entering the 4th quarter at school, the sun seems to making more of an appearance, and it's a bit warmer ... finally! Halfway through March means green is everywhere and those tricky leprechauns make their appearance. I've collected/created 5 tech infused activities in the St. Patrick's Day theme. In the lower right corner of the image, I link to an Encyclopedia Britannica article with a short history of St. Patrick's Day. This article can help on a few of these activities. Once again, I've used Flippity.net's Scavenger Hunt to make the Breakout! game. 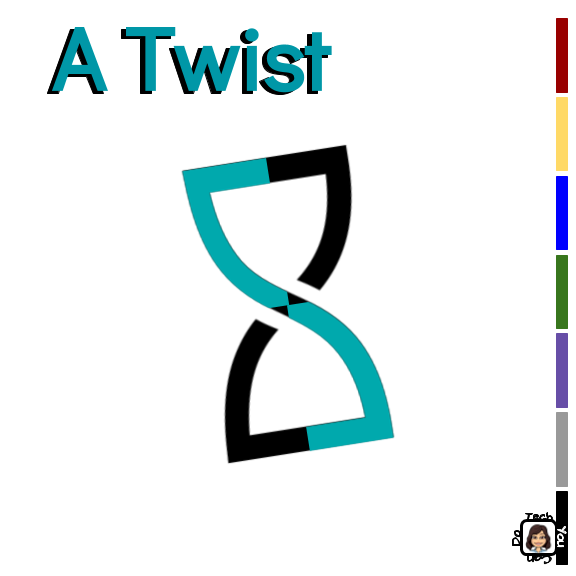 I also used Flippity.net to create a Word Scramble. Theirs is meant to be printed, so I made a Google Sheet to allow students to try to unscramble the words. I also used the Data Validation tool in Sheets to change the cell color to a shade of green! Don't forget to have students look at the second tab -- I've provided space & directions on how they can create their own word scramble! 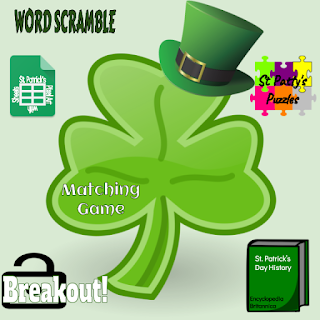 I also used Flippity.net to create a Matching Game that matches pictures to St. Patrick's Day words. I linked to a website containing several St. Patrick's Day puzzles - with varying difficulties - that I think students might enjoy. The final activity I've included is a pixel art challenge. The more I share creating pixel art with students, the more I see they absolutely love it! It's a wonderful chance for them to express & try out their creativity while also having a very low learning curve. 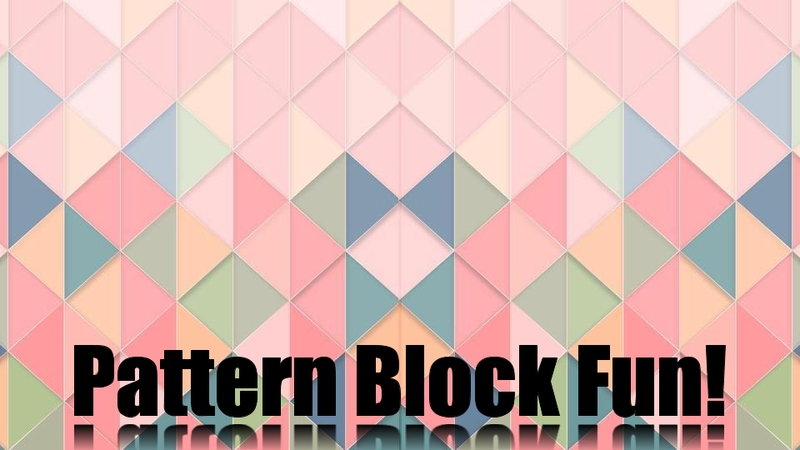 In this activity, I have provided several traditional St. Patrick's Day images students can select from and copy & paste on a tab in the sheet to create their own version, pixelated. I also find it's a great way to expose students to the power of Google Sheets. Many of the same tools they are used to in Slides, Docs, and Drawings are available in Sheets. I hope you and your students enjoy these activities. Next week starts my spring break and I plan to share "7 Chrome Extension You Can Do". I look forward to sharing 7 of my favorite and most useful Chrome extensions! I am a believer in #BetterTogether and I'm always looking to share Tech You Can Do. The beauty of collaboration shines through when a teacher comes to me with an idea or topic or question rolling around in their head and asks me to help them make it happen - usually by infusing a tech tool. Sometimes it's an in-person conversation, sometimes it's through email, and sometimes, even via text messages. There are advantages to all 3, but the push-and-pull is where the magic happens, regardless of the method. I have always thought of myself as a life-long learner. [My dad even used to tease me when I struggled to settle on a major in college, that I was going to be a "perpetual student". Not a bad compliment for a future teacher, eh?] After teaching in the classroom for 14 years, I have been a Technology Integration Specialist for the two elementary buildings for my district for 3 years. Supporting these teachers and students not only cements this life-long learning in me, but continues to push me to learn more and in various ways. I'm finding more and more, teachers are excited about the ability to provide options to their students while also being conscious not all students have the same background with the tools. It's very exciting to collaborate and create something to fit the teacher's desired curricular goals while allowing and encouraging student creativity. 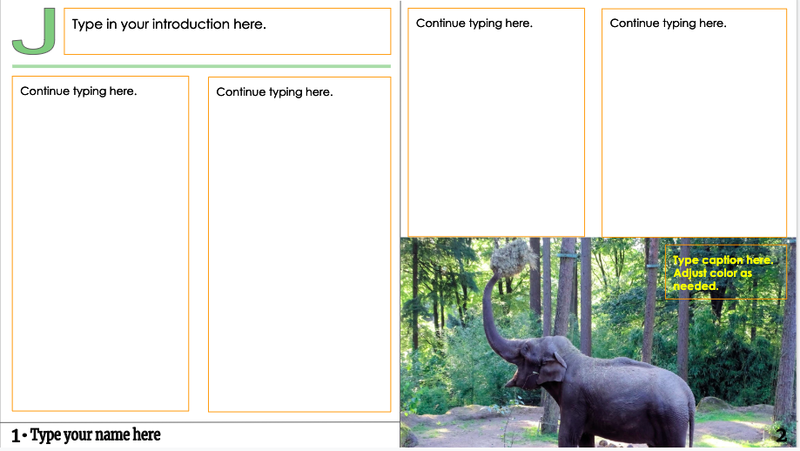 One of the "secret weapons" on any template I create/use with students, is including "speech bubbles" for use to provide specific directions, options to go further, additional resources, or remind students of the basic requirements of the project. Using Google Slides - my #1 go-to - I also use the speaker notes at the bottom for many of the same reasons. Slides and Drawings both have gray space, which I consider valuable real estate for these same reasons. 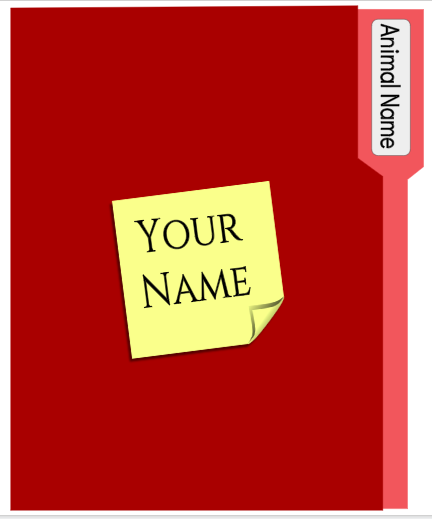 I typically add the note "Delete when finished" to help guide students, acting as a checklist. I can see making a couple of adjustments to make it work for older students: as easy as changing the font size to allow for additional typing OR a little more complex, by adding in "stapled" sheets of paper for longer research rather than the 3 small index cards on the inside. On the other hand, simplifying it can allow for use with younger students, too! Another example is for a 4th grade class. 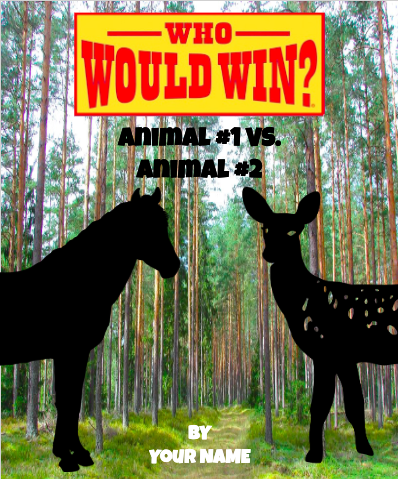 I can't take all the credit for this one ... my friend Beth Kingsley created the book cover for her 3rd graders to use last year when they did animal research. Her students LOVED it as did the author, Jerry Pallota! One of the 4th grade teachers I work with, saw this book cover on our Templates for Teachers website, and asked if I could adjust it to have "inside pages" for her students to write their research. Of course!!! After doing my own research on these books, I added a few inside pages in the theme of the book, and voila! The "Who Would Win?" for 4th graders was created. Again, the teacher invited me in her class to walk them all through the customization of the template. Students were already paired up and worked collaboratively on the book. This was a beautiful time to also discuss digital collaboration. When a second 4th grade teacher asked if I'd join her class for the same activity, I happily agreed. I never know who enjoys these activities more ... the kids or me! There was one curveball with this class. Some boys called me over and asked this question, "Mrs. Kiefer ... there are 3 of us. How do we do the cover?" I was stumped - the teacher confirmed they had an odd number, so these boys needed their cover to reflect this. I responded, "What do you think?" After only a small hesitation, one of the boys proposed placing the 3 animals in somewhat of a triangular arrangement on the cover. Brilliant!!! 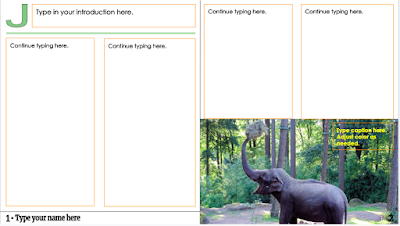 When it came to the inside pages, it was set up for 2 animals, and the boys told me, "Don't worry, he just duplicated one of the slides so there is another page for our third animal." I was so impressed! Problem solving and creativity ... excellent! I love this process ... from start to finish. Collaborating with the teachers to create the template, working with the students to make the template their own, and then the pride on their faces when they see what they have created. If anyone wants to know why I love my job ... this is it. The final template I want to share was created for a 7th grade language arts class. I collaborated with a teacher I started teaching with back in 2002. We created this template in response to her desire to do something "different" for her narrative non-fiction writing. We settled on creating a magazine template for her students. She looked through the magazines she already had in her classroom and picked out several features she wanted to include, allowing her to reinforce text features at the same time as the writing. You'll notice there is a great deal more space dedicated to text ... a reasonable expectation for 7th graders. After she selected the text features, we decided on the layout. We created a 4 page spread for students to type in, again, a reasonable expectation for students of this age. Rather than saying "write a 4 page essay", she used the template layout to show them the space, giving them the idea they needed enough information to fit it. Again, we used my secret weapon - speech bubbles - as well as the gray space to allow her to include directions and "helps". She then used our LMS to provide a copy for each student. Since she teaches at our middle school, I wouldn't be able to join in on this classroom adventure. She and her students enjoyed this writing activity done differently. She shared with me later, another teacher asked what program she used to create this template ... she told him, "I used the Sarah Kiefer program." What an awesome compliment! I think you'll agree our template turned out pretty professional looking! Today I've shared 3 templates. My friend Beth (mentioned above) and I have created a website - Templates for Teachers - sharing these, and many others, that you are welcome to peruse, take and use as they are, or better yet, take and modify to fit your needs. I truly love working with teachers and their students. The collaboration is something I will never get tired of. I am also finding our students are hungry to express themselves, especially when it comes to demonstrating their learning. Don't be afraid ... you don't need to know everything ... you just need to be confident enough to work WITH your students. And if you don't feel that confident, find a friend and collaborate with them. Reach out ... I wouldn't mind being that person. 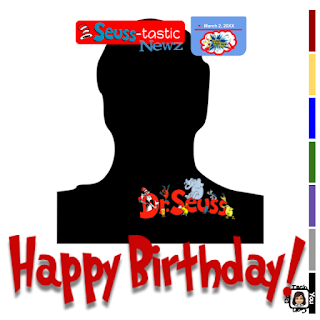 Theodor Seuss Geisel will be honored in early March all around the world. His books are timeless and enjoyable. Who doesn't remember reading "The Cat in the Hat" or "Green Eggs and Ham"? How many teachers have added to "Oh, the Places You'll Go" for a student to receive at their high school graduation? "And will you succeed? Yes you will indeed! 98 and 3/4 percent guaranteed." Interested? 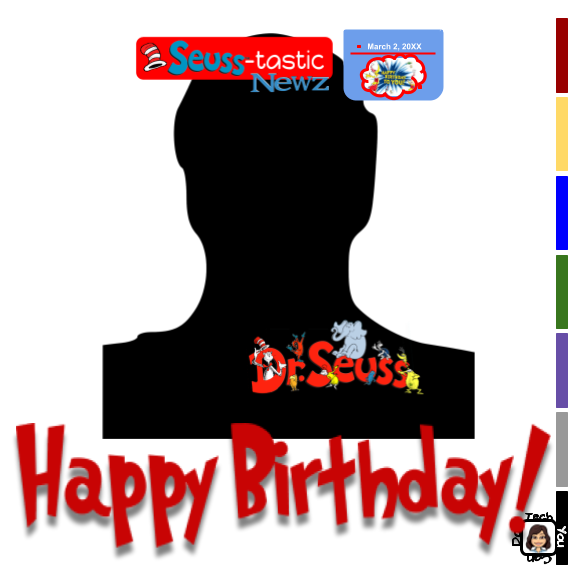 Feel free to grab your own here ↬ Seuss-tastic Newz. You'll find a cover and 2 inside pages ... one, ready to go for your littlest ones; the other, is fully editable for you to adjust/add/subtract as you would like. Decide which one you want and delete the other. If this type of activity is something you'd like to do more of, please check out the site I've created with a colleague, Beth Kingsley, called Templates for Teachers. 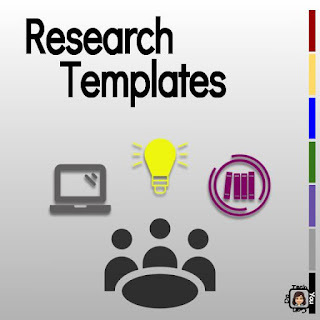 We have this template, as well as over 50 templates you can preview and make your own copy of. From there, you can modify them to fit you and your students perfectly. We also have a Google Form you can submit a request a template. I truly love creating these templates! "You'll never be bored when you try something new. There's really no limit to what you can do." Have a question or comment? Feel free to comment below or on Twitter @kiefersj, or email me at sarah@techyoucando.com. A little more than a week ago, a student came to me with her chromebook. I assumed she was having issues with it, but the screen looked fine. She puts her chromebook down on the desk. I see she has the multiplication facts activity I created awhile back pulled up on her screen. In a quiet voice, she points to it and asks, "Do you have anything like this for division?" I was a bit shocked and had to ask her to repeat herself. She repeats her question and looks at me. I cannot lie ... I was speechless. Finding words, I asked her, "Are you asking if I have something for division facts like this?" She nodded. Finally understanding, I asked her one more question, "Are you saying you'd like to practice your division facts using something like what you have for multiplication?" She again smiles, and explains, "See, I'm almost done with my 10's facts for multiplication, and I know I'll move on to division. 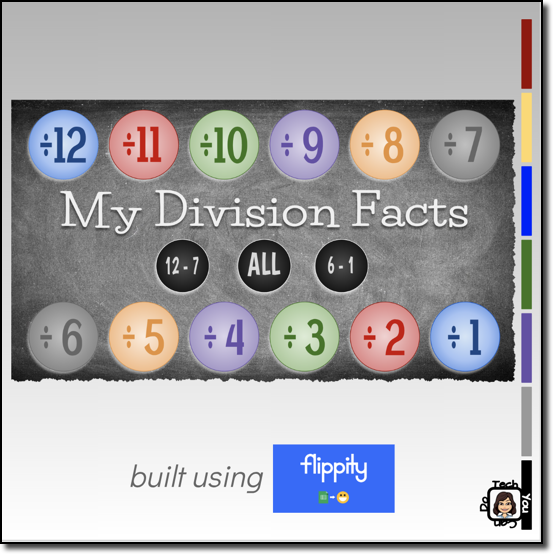 So I was wondering if you had something like this for division ..."
I smiled and responded, "Not yet, but I will work on it & let your teacher know when it's ready!" You see, I had gone into this 3rd grade classroom several weeks ago. Since then, she has been using my digital multiplication facts flashcards and has been able to practice and master up through her 10's!! Ahhhh! What an awesome compliment! I cannot express in words how this makes me feel. What a rewarding feeling it is to know that you've made a difference in the life of a student ... I created something she found useful AND she was asking for more! Now, I can also tell you this student is one who has to put forth effort at school work. I happily got to work on it last week and I'm excited to share it out today! You can find them at http://bit.ly/divisionfacttable. There is an individual set for each number 1 - 12, as well as sets students can use to challenge themselves. I only used division facts that result in whole numbers. There is the ability for the computer to read the facts ... look for the little speaker (this is GREAT for students who like to hear it). Share this with your parents so students can practice at home. 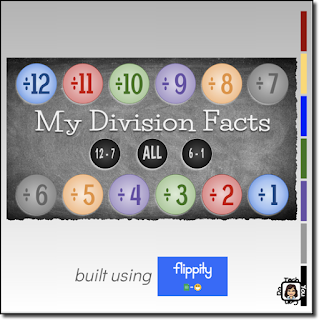 If you are interested in the multiplication facts flashcards, the link and blog post can be found here ↬ Multiplication Your Students Can Do . Please use! Have a question or comment? Feel free to comment below or on Twitter @kiefersj, or email me at ( sarah@techyoucando.com ). My job has many different components - which I thoroughly enjoy - and the top two pieces to my job is when I get to work directly with teachers and when I get to work directly with students. I have been fortunate enough to be working with one group students regularly for 2 years now. 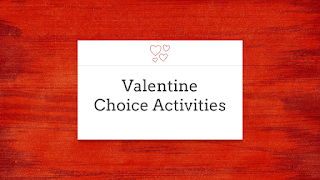 Most of the time, I've got a targeted lesson to tie into something they are working on in class or something their teacher has asked we work on ... but I surprised them Friday with a Valentine's Day themed selection of activities. These students know Google Slides. They have been working with Slides since 2nd grade, so that's nothing new. However, I published this slidedeck to the web, so they got to see it in a different light. (At first they didn't even recognize it as Slides.) I used the Jourdain presentation template from Slides Carnival and they "oohed & aahed" over it. Since it's "choice activities", I explained they had 6 different activities to choose from and they were free to switch at any time. Then I stepped back and let them explore. 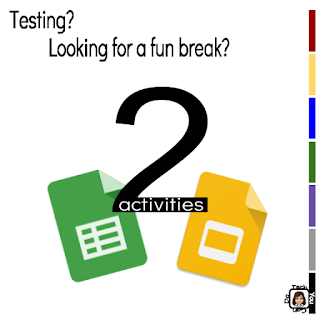 These kinds of activities are fun, holiday themed tech activities and I try to provide a variety of activities to allow students to explore things they may not otherwise get to see. To my surprise, this group focused on 2 activities - the Music Lab and the Breakout! There was some good music happening and a group of students worked together to "breakout". When the classroom teacher saw how many were drawn to the Music Lab, she went across the hall and grabbed the music teacher to join us for a few minutes and I learned who Kandinsky was! For the second year in a row, I've collaborated with a 3rd grade teacher, Anne McEldowney, to bring a little fun to her reading class. Last year, it was an Olympic themed reading game where students earned badges upon completion of various reading activities. Her goal was focused on their written responses. Her students would happily read, as long as she'd let them. However, the responses about their reading were coming up short. We focused on improving this skill through a variety of activities - some Anne already had in place; others were brand new - and the students earned badges. Ultimately, these badges earned them bronze, silver, and gold medals. 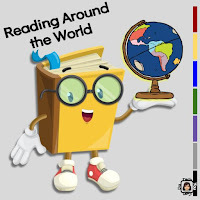 We had a few conversations, threw some ideas around, back-and-forth, up-and-down, and from this was born "Mrs. McEldowney's Reading Around the World"! The ultimate goal is to read around the world in 9 weeks. To do this, we are bringing together several pieces, and housing it in a Google site. The basic idea is a time goal for each continent, starting in Antarctica and ending in North America. 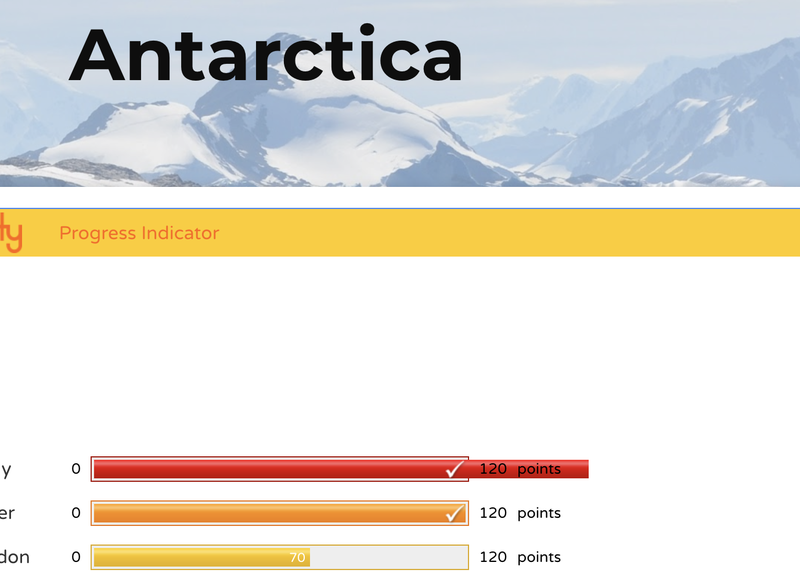 To track their progress, a Flippity.net Progress Tracker was created for each continent with a custom goal. 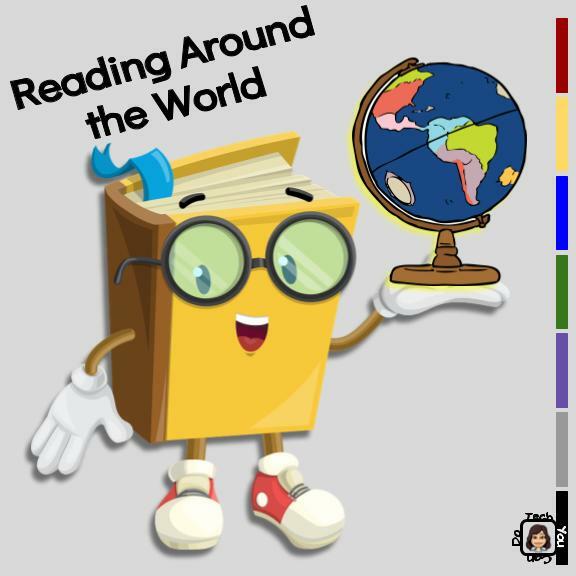 Various reading activities have also been added for each continent and a passport is used to record the students' responses. The home page of the site has an embedded Google Map of the world. Each student added a pin to represent themself and then customized their "pin" by choosing their color and an icon of their choice. This allows them to see themself along their reading journey. As they progress, Mrs. Mac will move them from continent to continent. [I added a pin to each continent so they knew the order of their journey from one continent to the next.] It is very exciting to watch as the students move from one continent to the next! Each continent has its own page, displaying the Flippity.net Progress Tracker for that continent. Each day, Mrs. McEldowney checks the students' reading logs and credits them with their time. 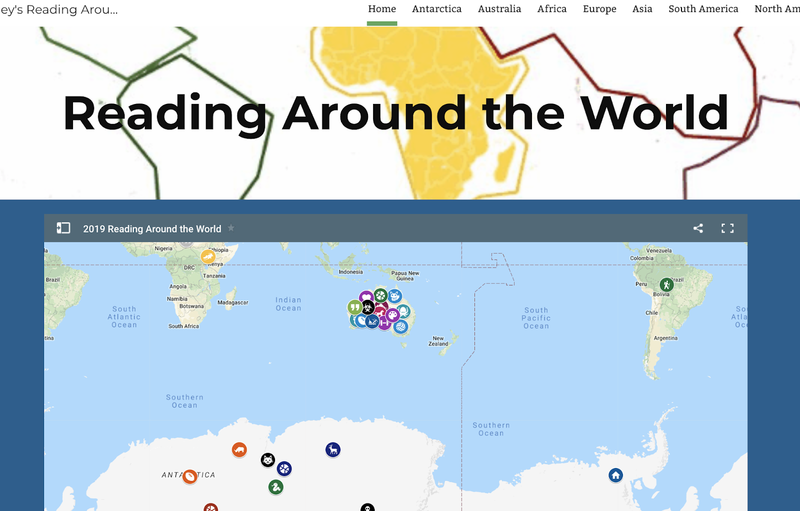 The Progress Tracker is a Google Sheet, published to the web, that is coded to show a progress bar for the corresponding continent. The best part of this tracker is Flippity has this all set up with a template you can, too, can grab and use! Once a student reaches the goal for that particular continent, their pin is moved and tomorrow's reading time is credited to the next "stop". Recently, I've been working with a teacher on setting up self-grading quizzes with Google Forms. A key component is the teacher said it was crucial that he can get the results back to the students. This will then allow them to go over it as a class and each student could see their own work. A little background - Forms is my 1st Google love. Once I learned how to create a quiz in Forms, grade it with Flubaroo (an awesome add-on), and email results to my students' parents, I was hooked! (my students didn't have access to school email) That was about 6 years ago ... and WOW! Has Forms come a L O N G way! Forms is fairly intuitive and simple. Setting up a Google Form to be a Quiz is also simple. To set it up to be Quiz that grades itself, reports results to the teacher AND is returned to the student is a bit more of a workflow. Not awful, but definitely something we had to work through since I'd never personally done this with students. Because of this, I created a Google Slidedeck to help with the workflow. Each slide has written instructions on the left and a short video that gives a visual match to the instructions. 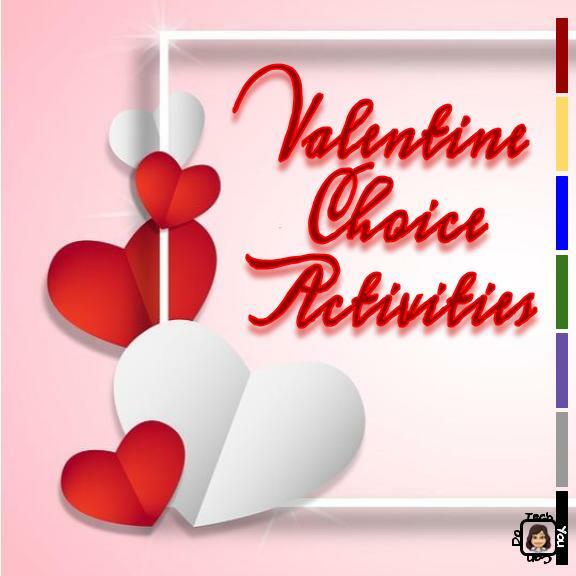 (We were able to do some of it retroactively, so don't worry if you want to try it out and have already given the quiz.) The Slidedeck is at the end of this entry. Let's start with a little pedagogy ... not every subject should have ALL quizzes done digitally. Not all quizzes have to be 100% digital. Not all Forms have to be quizzes. 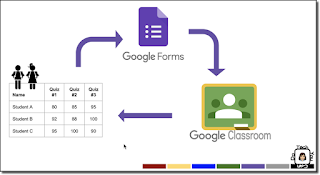 Please use Forms as a tool when it fits the purpose of the lesson/activity. For example, the teacher I've been working with wants to use this in his math class. Not all math questions lend themselves to be auto-graded. We decided which of his daily review questions should be digital and which should still be done on paper. This also allows for space for his students to show their work, vital to seeing if the student has master the topic. The digital part of the quiz will greatly reduce his grading time. What about the student side? This teacher is a 4th grade teacher. It is worth noting that while his students have been using chromebooks in the classroom for more than 2 years, they haven't done too many classroom assessments on them. State assessments, yes, but not classroom ones. Using Google Classroom isn't new to them either, but taking a quiz in Classroom then receiving it back to view IS new. He walked them through the process and said they did great. Students are quick to learn as long as they have a leader.